news 29.12.19: Manuel Schneuwly organized his last HuckJam as an employed tunnel instructor at RealFly in Sion. 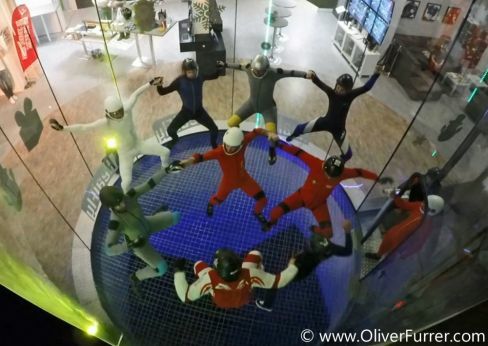 So the PULSEteam was invited to fly big formations in the wind tunnel together with the other participants during 3 flying hours. The traditional Raclette dinner after the flights, as well as the closing ceremony during the night was very pleasant.